Okay so I know you are asking, how in the world can you make apple cider any better than it already is? By adding caramel of course. 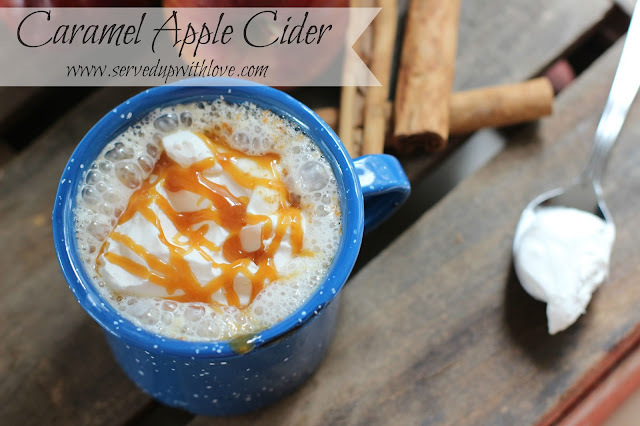 Caramel Apple Cider is super easy and only takes minutes to prepare. With every sip, I kept hearing myself say "mmm" and then another "mmm" and it kept on going. 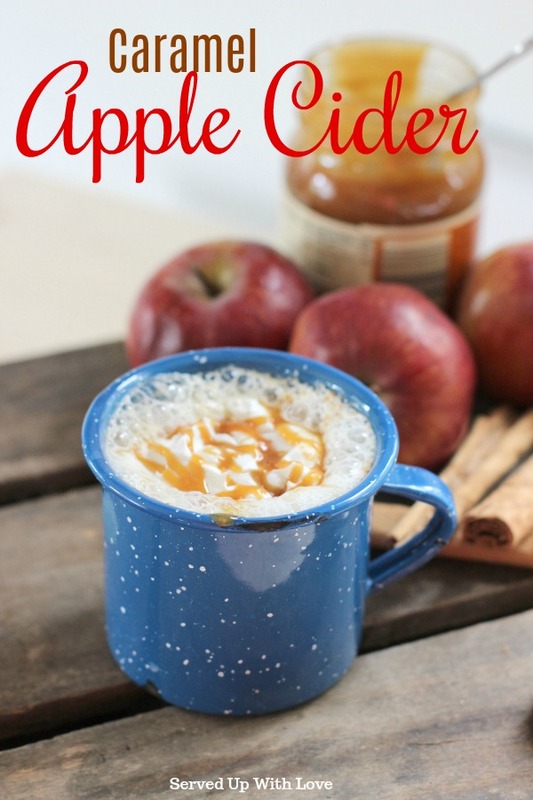 Apple cider is so good on its own but the caramel takes it over the top. Now this can get a little on the sweet side but it is so worth it. I like my apple cider warm. I just get the warm and fuzzies and it's perfect for a day like today where the morning was just a little nippy. When we were growing up our parents were wood crafters. My Dad made all the word work and Mom painted it and made it pretty. It was a family affair as we all had a hand in it. We would spend many weekends at craft shows selling our goods. Fall of course was the best time to sell the most because of the upcoming holidays. So there were a few apple festivals that we attended. There was always apple cider for you to purchase and man was it good. I think that is where my love of apple cider came from. Those cool mornings were a lot less cool when we were sipping on some warm apple cider. Sadly, my parents no longer do the wood working they used to do. It was my Dad's plan for retirement but Parkinson's had another plan for him and he had to retire for health reasons. What I wouldn't do to see him in his work shop again. 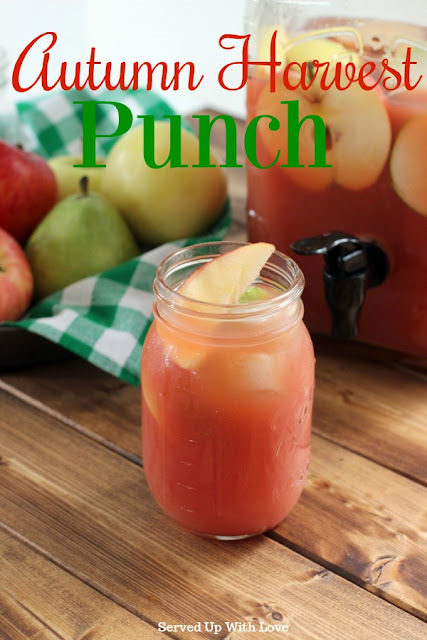 Who wants to pay for an overpriced gourmet caramel apple cider when you can make it at home for a fraction of the cost? I know I don't, but it sure does make it sting a little less when I do splurge. Heat the apple cider and caramel in a sauce pan on med to low heat. Pour into cups, top with whipped topping and caramel drizzle. 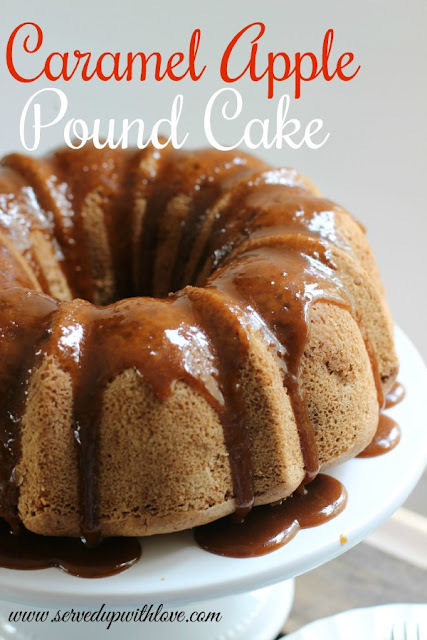 *You can also leave the caramel out and just use a drizzle on top.